The Tall Mama: Great news for us tall Aussie ladies! Here in Australia we are sadly lacking retailers for tall women. But do not despair my tall sisters - Amalli Talli is now shipping internationally! Yay! I've been stalking following Amalli Talli on instagram for a long time now. They are a USA based company dedicated (yes, dedicated... not just carrying one or two pairs of "long" pants... I'm looking at you Target Australia) to casual clothing for tall women. The company is run by 2 gorgeous sisters, Amy and Alli, who are 6'3" and 5'10" respectively so they understand the struggle to find well fitting clothing. As they are USA based, and the seasons are opposite, it's a great time for us Aussies to score some great deals on their summer clearance items (bonus!) or to stock up for next year. 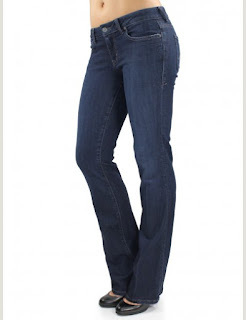 The jeans and pants they carry come in a variety of lengths which is fantastic! Make sure you check out Amalli Talli! This is not a sponsored post; I'm just excited that we have more tall clothing options in Australia now! LOVE Amalli Talli and I also stalk their IG. So far, I've only purchased one item but I know I'll be buying more. It's very exciting that they're shipping internationally now. I never thought about the fact that you can score some amazing end of summer bargains while it's still your summer. Awesome strategy! That’s a very good news for all those tall girls out there. I have been hearing this issue from so many tall girls in Australia that they don’t get their size in clothes and shoes. I am sure they must be really happy to read this new via this blog.